More than being the most wonderful time of the year, Christmas is also the most magical season ever. I say this because this is usually the time when you would see everything red, gold, white and silver which is associated with whimsical, ethereal yet elegant display of decors in each and every window you'd pass by. 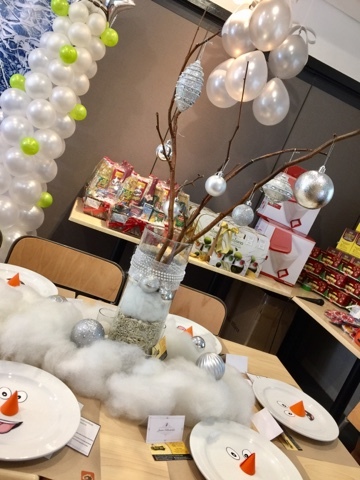 This season is also where merriment and gift-giving becomes the theme of the party. 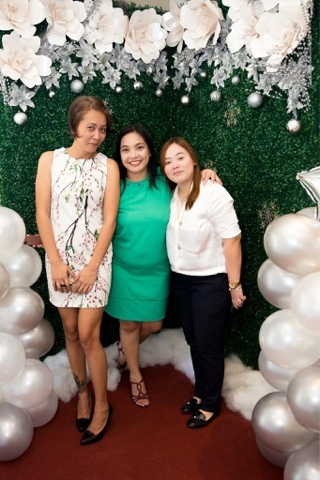 This is exactly what the Mommy Bloggers Philippines Christmas Party 2016 was like. 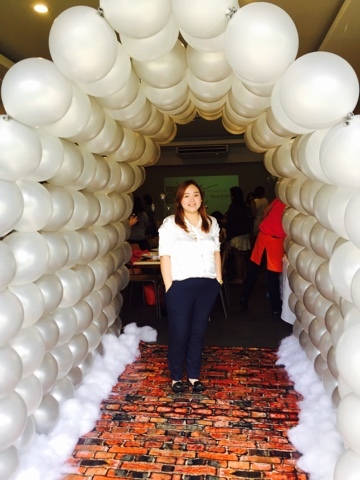 Fun, loud yet elegant and well-prepared. I've been a member of this mommy group for almost two years. And so far, I have had so many experiences that helped and still continue to help me become better first as a Mom, next as a writer. A snapshot with my favorite Mommy Blogger friends - May of Fully Housewifed and Jhanis who flew all the way from Cebu of The Vanilla Housewife . 😘 The photos were taken by our official photographer When Worlds Collide. This group has opened me up to so many exciting opportunities and I have met a lot of amazing mommies that share the same ideals, passion and respect for each other's differences. I have no cause for complaints so far. 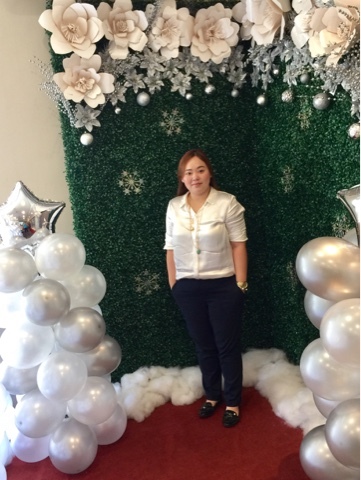 So needless to say, I was deeply honored to be invited to the Mommy Bloggers Philippines Christmas Get-Together which supposedly is my 2nd since the year before I was out of town and wasn't able to attend. Thank you so much to: Downy PH for the gift pack of my family's favorite fabric conditioner. Cuisina for the 3 pack dishwashing liquids in 3 different flavors. Lorins for the fish sauce and fish paste pack. San Pedro Bbq Sauce Atbp. for the marinade/barbeque sauce which is now a favorite in our home too! 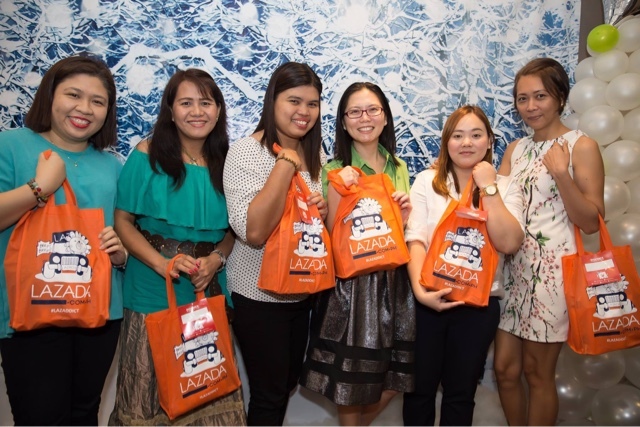 Lazada for the gift bag full of home products from Colgate Palmolive. 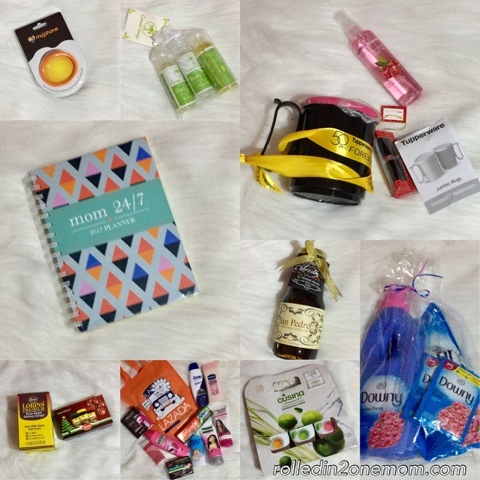 Mommy Mundo for the Mom 24/7 Planner which now proves to be useful to me. Tupperware Brands Philippines for the mug, cologne and lippy which I super love. Coconut George for your relaxing oils and products. MyPhone for the band/watch. Buzy Bee Bouquets & Balloons for the beautiful decor. And most of all, to Pancake House for providing us with sumptuous lunch, coffee and deserts! But! I would say my most favorite part was the introduction of each Mommy Bloggers where every one's name and blog name must be recalled by everyone. It was downright hilarious as it appeared as though we all took down our mommy hats and became just regular young ladies out to party! That afternoon was filled with so much fun, laughter and memories to keep with my fellow mommies. 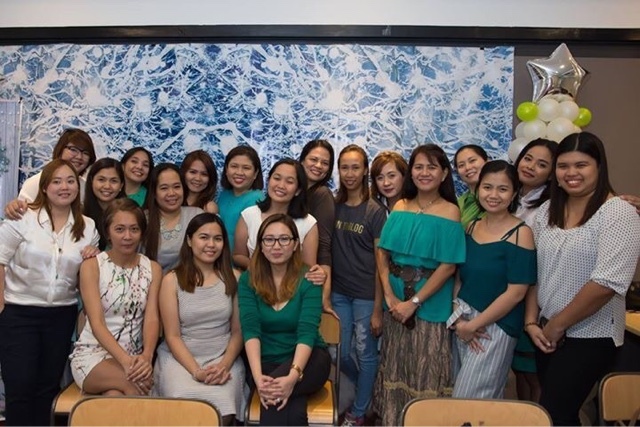 Well, at least till the next Mommy Bloggers Philippines Christmas Get-Together which I am hoping to be invited to again next year! Thank you to our Admins Mommy Louisa, Mommy Joy and Mommy Lani for the awesome group and the happy things you share with us! Now I can't wait for this year's party! Miss you loads!